Put up a shield against the cyber baddies. 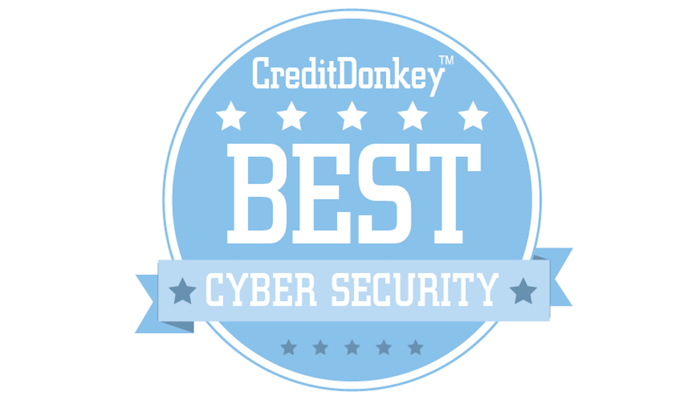 Protect your business against intrusions with the winners of the CreditDonkey Best in Cyber Security award. A security attack on your business could be catastrophe. Is your company vulnerable? Take a proactive stance against hackers and intrusions with cyber security measures. At CreditDonkey, we help business owners make smart choices. With so many companies out there, we’ve done the research and rounded up the very best in cyber security. These companies offer innovative solutions by predicting and responding to threats before they become a huge problem. With these cyber protections, you can arm yourself against data breaches, sensitive information leaks, and business reputation hits. Zerocopter offers a cybersecurity toolset built by ethical hackers that will help you gain a full understanding of the vulnerabilities in your company's environment. CEO Edwin van Andel is an experienced security expert and thought leader who has been working in computer security since the 1980s. Why Zerocopter is a Top Cyber Security Innovator: Their service allows you to open up a responsible threat disclosure program, giving anyone the chance to report your system's vulnerabilities without the need for a separate infrastructure. It's also easy to give teammates access to the Zerocopter environment, so your full security team has all the needed insights into potential problems. Read: Should we report our cybercrime leaks?